Zee Tv Hindi Entertainment Channel is ready to Launch their new Tv Serial "Zila Chapra".Zee Tv is already running some nice tv shows like Jodha Akbar,Kumkum Bhagya etc . But to achieve more TRP Zee Tv planning to launch this new show which is titled as 'Zila Chapra'. Upcoming Tv serial 'Zila Chapra' is produced by Rashmi Sharma.The show includes backdrop of Bihar. Star-cast is in progress for this new show. Rashmi Sharma producer of popular shows like Saath Nibhana Saathiya and Sasural Simar Ka is ready to launch her another drama on Zee TV that has been titled as Zila Chapra. This show have backdrop of Bihar. Mohit Sehgal will be seen in Lead role.He will essay the character of Somender who belongs to a very rich and dabang family.Stay Updated with Us for more Updates regarding this tv show. Mohit Sehgal will be soon seen as pivotal role in Zee TV' new show Zila Chapra .Paaras Madaan who is currently busy in shooting of ' Nisha Aur Uska Cousins' Star Plus show playing negative character in the show will be seen as main lead. 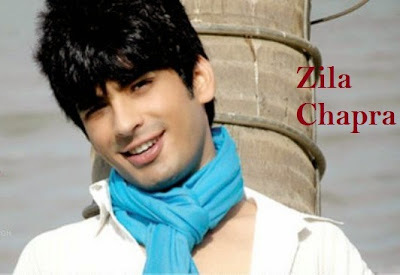 Mohit Sehgal who was last seen in Qubool Hai Zee Tv's show . Promo of the show is not yet revealed by Zee Tv. Stay tuned with us for the Promo of this show.